Eileen Munro’s interim report, published last week, carries a subtitle that will be encouraging to all those involved in, and responsible for, child protection in England. “The Child’s Journey” is encouraging, because it brings the child and family back into the centre of focus, paying particular attention on the experience of those on the receiving end of child protection interventions. As Munro highlights throughout her report, child protection work in England has over recent years become overly focused on policies, procedures and processes, in an attempt to implement integrated systems and working practices that would streamline professional standards across the country. Noble as this intention was, it is evident today that rather than serving its purpose to ensure minimum standards of good practice, it has created a culture of form filling and box ticking with little added value to the very children it aims to protect. The social work profession needs to accept that the standards of performance management in children’s social care need to be raised and inconsistencies in quality of practice need to be managed very closely. We know that good performance management must be local and relevant to the individuals it seeks to engage with – at the same time there are good practice principles that must be shared amongst all professionals, locally and nationally. Information Systems alone are not the solution, but intelligent data sharing must support any efforts to learn from each other. Removing of some of the most static statutory requirements from Local Authorities is a step in the right direction; however, there is a risk of creating an unwanted void when removing ‘old’ performance indicators whilst working out how they should be replaced. Directors of children’s services must be confident that inconsistencies between qualities of practice amongst their staff are being picked up and addressed effectively by their operational management teams. Otherwise, opportunities for sharing best practice and correcting poor practice will be missed and ultimately, children will not be safe. With the benefit of hindsight, of course, it is much easier to argue that what the whole profession needed was not a mindset to ensure minimum standards, but one which strives towards a collective desire to be innovative, inspired and delivering excellent practice, alongside a good understanding of the communities our children grow up in. 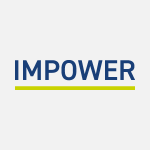 From IMPOWER’s extensive work with practitioners, managers and directors of children’s services across the country, we know that Munro’s early findings and recommendations will be wholeheartedly welcomed by the profession. We have gained some good insights through our experience in piloting Social Work Practices on behalf of the (then) DCSF, and are particularly pleased to see that Munro promotes the creation of multi disciplinary, community based prevention teams and smaller, ‘social work units’ akin to the model trialled and tested at the London Borough of Hackney. These smaller, locally based teams are often much better placed to work with the community and to have a holistic understanding of the complex life situations of children requiring protection. We are delighted that Munro recognises and highlights the need for a future child protection system to be adaptive to learning so it can evolve as its’ needs change. Munro asserts rightly that it is this balanced flexibility that will allow the system to retain its focus on helping children and families, rather than simply coming to serve its own bureaucratic ends. One could argue, however, that the hardest part is yet to come: the third and final part of Munro’s review, due out in April. It is in this report that Eileen Munro will make recommendations to government on how to change our child protection system for the better. Policy makers, local government chief officers, directors of children’s services and front line professionals will all be looking to this final report for guidance on just how to put good theory into great practice – particularly in a public sector landscape that has been dominated by the fears for negative repercussions of the spending cuts and uncertainties over funding for children’s social care. We believe that well thought through and evidenced central policy can only be one part to improving the system; arguably, it has contributed much to the professions downfall in recent history. Ultimately, the driver to real, lasting change must be the desire to undertake and embed a whole culture change in children’s services and child protection in particular. This means that the ‘child’s journey’, i.e. the quality of the growing relationship between the professional and the children and families is of pivotal importance to the intervention. One where social workers and their colleagues from all partner agencies are empowered to reassert their professional judgement over child protection interventions. Given the low morale in many local authority child protection teams across the country at present (as combined effects of high caseloads, the ‘process culture’, as well as their recent exposure to media effective criticism and problems of effective staff recruitment and retention), one might be forgiven for thinking this is too great a culture change to take on. However, experiences of excellent practice in many parts of the country show that this must not be the case and we are encouraged by the reviews’ commitment to building on insights from the Family Intervention Projects, with a ‘mentor’ approach to learning, where areas with a track record of successfully supporting families, act as dissemination hubs sharing their ‘know how’ to help others.